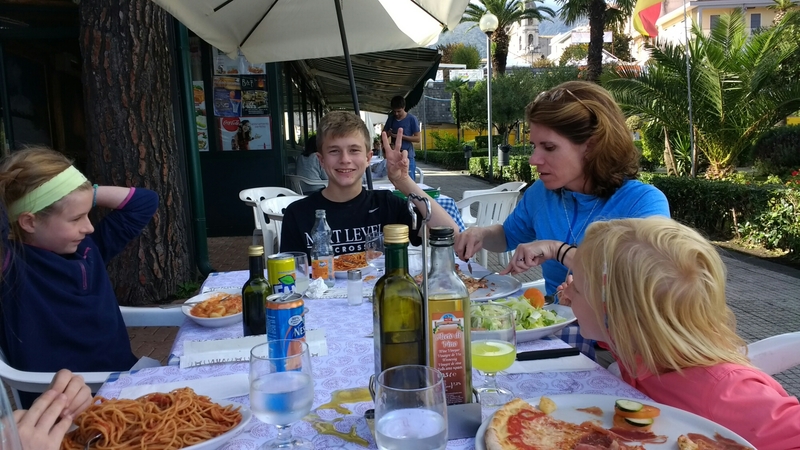 This photo is noteworthy as it shows our final real Italian meal, a lunch in Zafferana, on the flanks of Mt Etna. 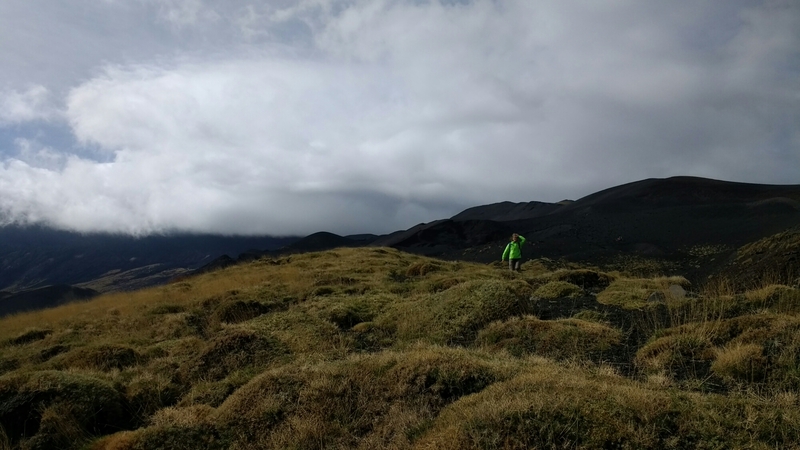 We had just spent the morning hiking among the cones and craters of the 2002 eruption, which rearranged the volcano’s northeastern ridgeline and took out some tourist buildings and a chairlift or two. The summit and it’s crater were off limits on this day due to very high winds and clouds, which make it impossible to scout the toxic gasses leaking from the crater. OK by us – we had a great time. Number one eating highlight from Sicily was a surprise epic lunch at Taverna Di Bacco in Palazzo Acreidi. Alex found it, literally the only place open during the Sicilian version of siesta, and the chef told her over the phone he’d stay open for us. This led to a two-hour onslaught of deliciousness and gluttony: antipasti, gnocchi, salsicha, ravioli con funghi, steak, and roast pork skewers stuffed with cheese and other things. Everyone knows that taking photos of food at restaurants is lame but maybe we probably should have done it here. The strong second-place finisher was Agriturismo Leone, a mountaintop farmhouse outside of Noto. Family-run: mom cooked and served, dad cleaned, and their son’s pack-and-play was in the dining room with us. Again, an epic, this time without a menu. They just started bringing it out once we sat down: a massive round of antipasti, gnocchi and ravioli, and a killer grilled meat sampler to top it all off. Until the two rounds of dessert. 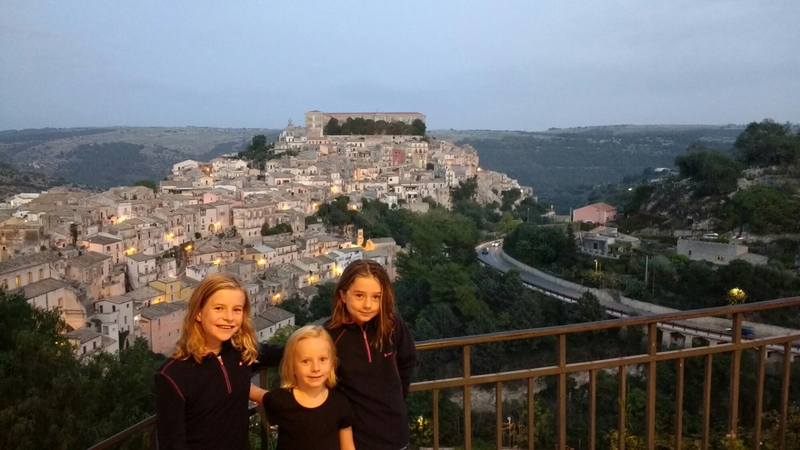 The girls in Ragusa, our home town for our week in Southern Sicily. Our house for the week was about 10 minutes out of town, toward the beach. It was a very, very quiet spot and I think that silence may have contributed to our first notable lull in morale on the trip. We had just left my mom and dad behind in Rome, and some members of our party were less than thrilled by the prospect of resuming church tours and homeschooling. Homesickness happened. There was likely also some trepidation at what lies ahead on our itinerary (we finished that lunch in Zafferana with our first round of anti-malaria pills). 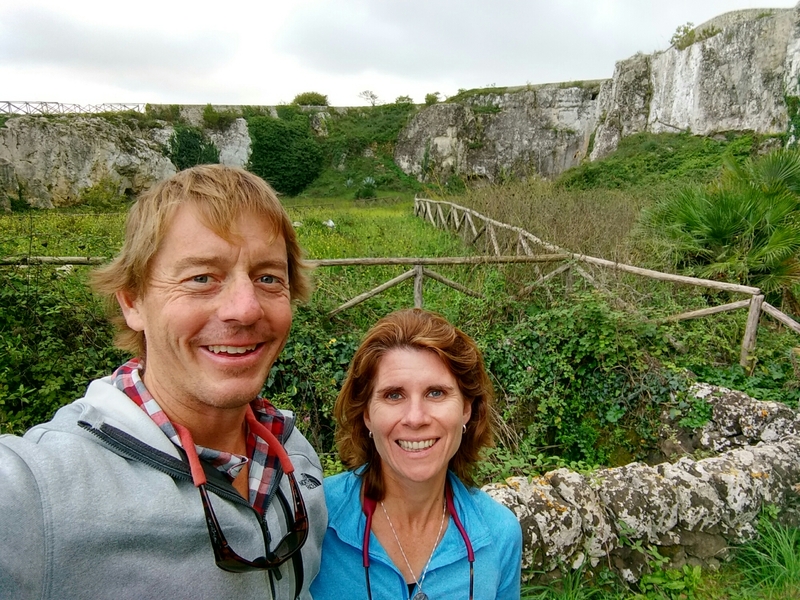 Whatever the case, Alex and I responded appropriately with constructive and wholesome bribery: lots of gelato, golf, cooking classes, and epic meals. One last blast of Western Civ before we head for the Subcontinent. Our back yard in Ragusa. Earlier in October, we departed Seville after three weeks of successfully acclimating ourselves to the great city. We each felt very comfortable there, getting to know the streets and plazas and markets etc. On that final morning, Coco and Holly and I got in a taxi to head to the airport, and we took off through the now-familiar Alameda de Hercules, our home for those weeks. I began typing a thank-you-and-goodbye email to our host, and looked up from my phone a few moments later to completely alien surroundings. I didn’t recognize the streets or buildings one bit. Two realizations hit me: one, there is so much to Seville that I still don’t know and two, we’re moving on. We are doing the same today, but the scope feels a bit grander. We could do Europe for months and still only scratch the surface. We’ll all be back, inshallah, and now it is time to change continents. Our flights go Catania to Rome to Abu Dabhi to Delhi. 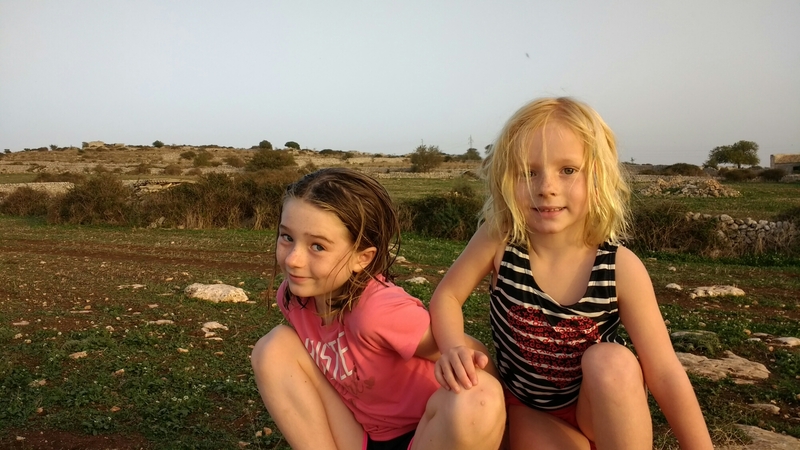 Two different Alitalia people rolled their eyes and murmured to themselves in Italian when they saw our itinerary and four kids (apparently the birth rate in super-Catholic Italy has dropped significantly and four kids is now unheard of). Thank God, Allah, Jupiter, Vishnu, and Jerry that we’ll be met at the Delhi airport by a very eager hostess Sarah Koch. It will be an adventure for sure.